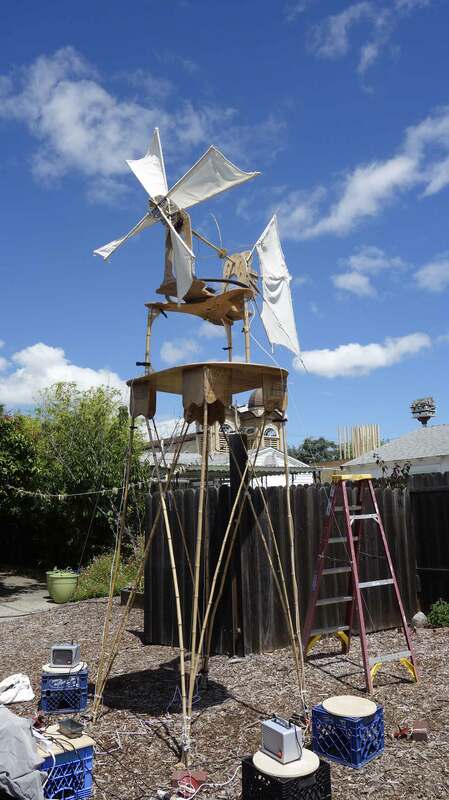 Built at Montalvo Arts Center in 2016. and later positioned on top of Tall Table, an 8 ft. high bamboo and plywood table to create a 12 ft. high windmill, and was the “Featured Installation” at Thingamjigs’ Aeolian Day. Hand-cranked kinetic sculpture made in 2018. Viewers control magnets to spin concrete balls creating analogies to the maneuverings that anyone who has been in a relationship will recognize. Built for the Garden of Memory at the Chapel of the Chimes in Oakland, Summer Solstice 2008. Controlled by motion sensors that when triggered grind plastic coffee lids into stretched nylon strings. Also shown in Time Sensitive Materials with Bodil. Installation at the San Francisco Art Institute, 2003. It was an ornithopter using a bike wheel that miraculously had a song within it. An online gallery of work from the one-person show at the Randall Museum, San Francisco, June through October, 2000. 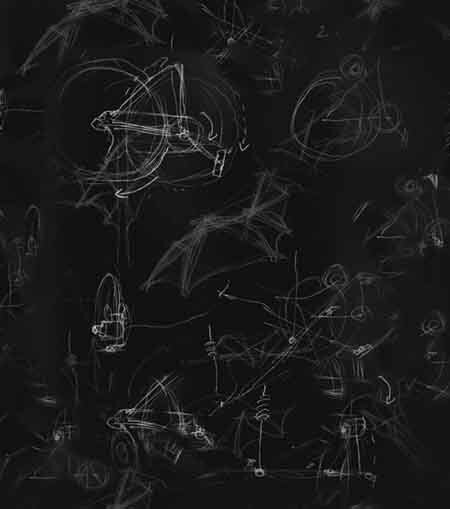 This page contains an old shockwave file that shows a kinetic sculpture I made for a benefit for 23five at The Lab.